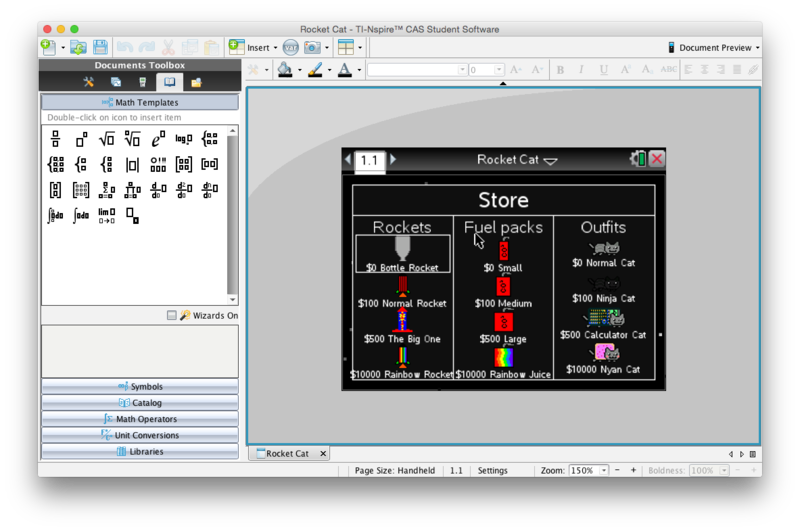 I'm working on Rocket Cat (name subject to change) for the TI-Nspire. It's a game like Learn to fly, except you are a cat trying to reach the moon. Wow, there's a lot of Lua entries! Looks good so far. 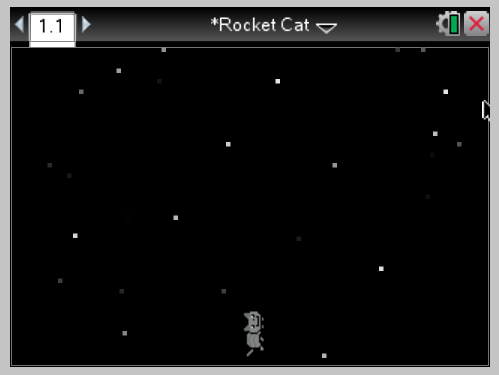 I must say that the starting gray cat sprite reminds me of the hungry robot from SkiFree, the old Windows 95 MSEP game. Keep up the good work, and good luck getting everything done by the deadline. Thanks! Now that my online class is done for the year, I should have more time to work on it. Um, you mean the abominable snowman? Sorry to revive an old thread but I saw this game was in the archives so I downloaded it and coins and purchases don't save after a close? Is this normal? © Copyright 2000-2019 Cemetech & Christopher Mitchell :: Page Execution Time: 0.448669 seconds.